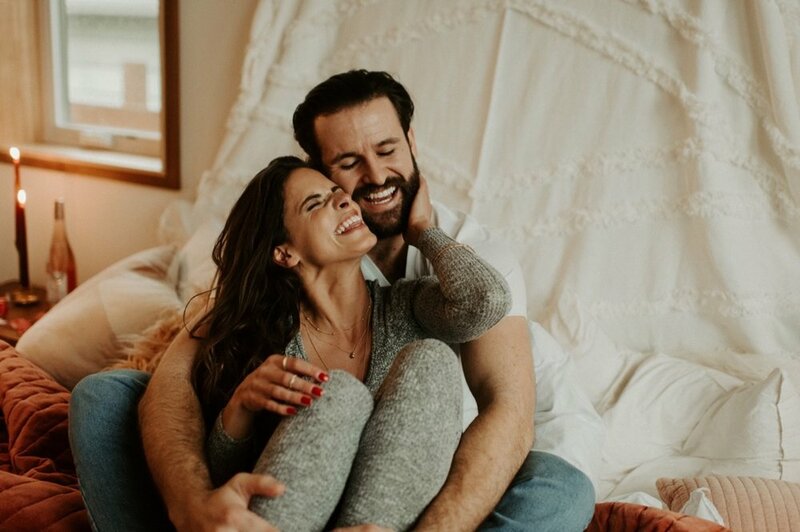 Sarah and Cole's Cozy In-Home Lifestyle Anniversary Session | Oregon Wedding Photographer — Madeline Rose Photography Co. I loved that Mae and Co / StyledYou asked me along for a styled shoot for an in-home lifestyle anniversary session. 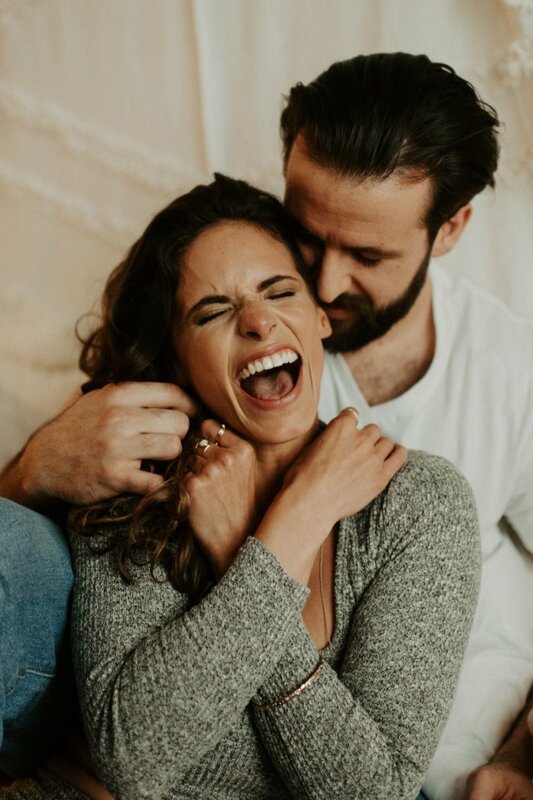 An in-home lifestyle session is perfect for many reasons, especially for those wanting to capture moments of every day life with the one you love. Climbing a mountain is super romantic although staying inside can create just as much romance, trust me. Especially during those seasons that being outside is not the best option (hello winter and humidity, we see you). What’s even better is that you get to be as comfortable as you’d like, whether that is your own home or in a hotel, cabin or Airbnb. Changing is also super easy, no awkward changes behind trees hoping no one walks up or changing in the car. Most indoor lights are yellow and create weird spots, along with some not so romantic skin tones. The trick is good window light so we’ll hang out by the biggest and best window most of the time. 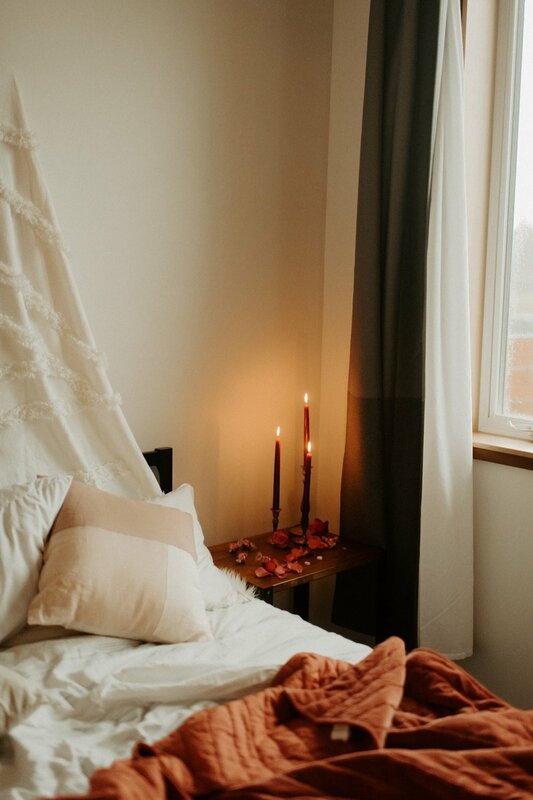 An in-home lifestyle session is about capturing your normal, sometimes that is snuggling in bed, sipping coffee at your breakfast nook, popping a bottle of your favorite champagne or jumping on the bed like you are kids again. And lots of snacks and drinks at the ready. So when you are wanting something more relaxed, something more chill, something that is more you, I’d recommend an in-home lifestyle session.